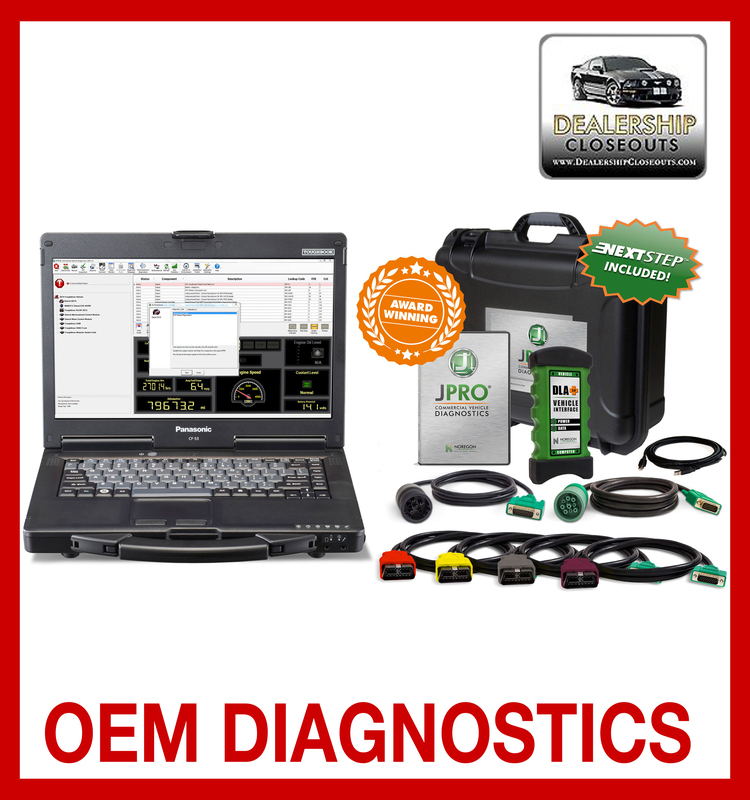 UPGRADED JPRO DEALER TOUGHBOOK KIT, OEM DIAGNOSTICS AT ITS FINEST. TOUGHBOOK INCLUDES LIFETIME WARRANTY, GREAT SUPPORT, GREAT FULL ACCESS FROM JPRO THAT WILL SET YOU SHOP APART FROM OTHERS. REGENS, BIODIRECTIONAL AND PARAMETER CHANGES, INJECTOR CUTOUTS, DTC CLEARING AND RESEARCH WITH NEXT STEP. ALL PRODUCTS SHIPPED VIA FED EX, FAST SHIPPING, SECURE AND RELIABLE.